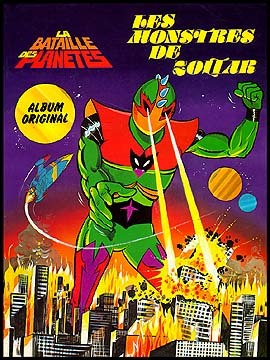 Information: This softcover book contained original "Battle of the Planets" stories. The stories themselves don't have any distinct beginning or end or titles, but G-Force faces and defeats three different distinct villains in the course of the book. The art appears to be a notch or two above the American comic books, though it still isn't fantastic. Full-color.